Hilton Village floor plans are designed with your utmost comfort in mind and feature all the amenities you’ve come to expect from upscale living. 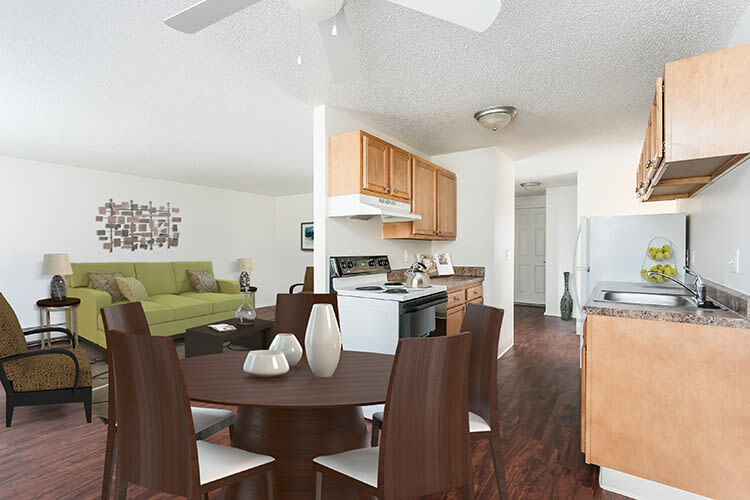 Our studio apartments start at 375 square feet and our three-bedroom apartments feature 1,276 square feet of living space. Whether you’re looking for a cozy studio apartment or room to roam in one of our larger floor plans, Hilton Village has the apartment home to complement your style. Our apartments for rent in Hilton, NY are near everything you need. Explore our interactive neighborhood map to see what's nearby! Designed to fit your lifestyle, your new Hilton Village II apartment boast extra storage space, and spacious closets large enough to put even the biggest clothes horse to pasture. Looking for a way to cool down in the summer? Each Hilton Village apartments features breezy air conditioning. 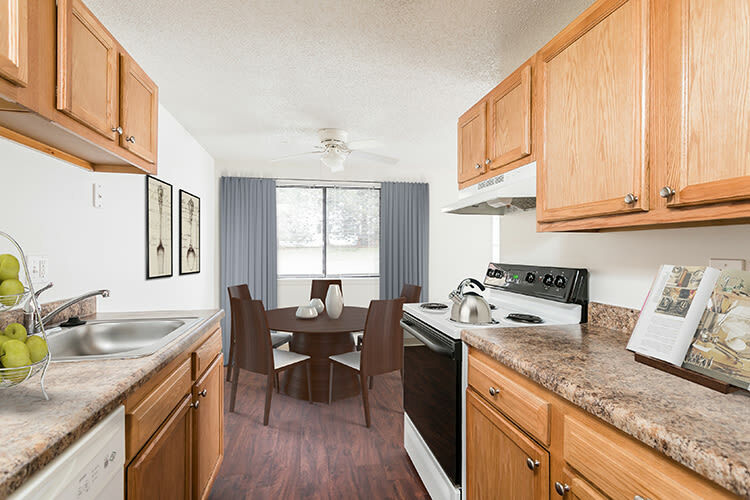 Imagine starting your day out with a fresh, hot beverage brewed in your spacious kitchen, and glancing out the window to admire a beautiful wooded view of Salmon Creek. This is the tranquil, quality life that’s waiting for you at Hilton Village II. Give us a call today to schedule a personalized tour of your favorite floor plan.